I’ve been on a tour de FLA this week and horses have been the thread linking the 3 legs of the trip. It began on the East coast catching up with dear friends Laurie, Sarah and Madison. Laurie owns the property in VA my horses currently live on and through her I came to know and love Sarah and her bright sunshine of a daughter Madison. Sarah and Madison were introduced to endurance when they volunteered a 24 hour shift with me at an OD100 a few years back. Madison rode a 25 mile ride with me on Faygo as I was bringing Khaleesi into endurance and her mom was a fantastic crew mom. Then I headed back across the state to a rural town outside of Ocala for 3 1/2 days of lessons with my Simple Equine Teaching mentor. I got to observe how she runs her barn and property. Nothing is random and everything functions for prime efficiency. I met two ‘superstars’ that appear in many teaching stories in her virtual classrooms. The old mare is 29 but not as old as the 41-year old blind gelding who is still in light riding work. He looks great – I know young horses who are not as healthy as he is. This is not a surprise – though she does things occasionally opposite of the common knowledge and sometimes what the vet might say, she has many years of experience and observation behind her, research, and personal success — failures. She doesn’t recommend anything to a student that is not tested enough to stand behind the consistent results. She also takes the entire horse into consideration all the time- she is not bound by only looking at the feet or only looking at a mineral balance or only looking at a behavior issue. She sees the context in the unique picture and I have yet to see her get it wrong. So it would make perfect sense horses she works with can live 30 and 40 year productive lives. Her younger PRE gelding is stunning as a 17 hand Spanish heritage war horse. I had to be reminded to stand my ground when he bounded in boldly (but not at all aggressive) to say hello- jolly as a gelding can be but intimidating in size and stature. It was like standing next to a grand statue; he was so fit, full and beautifully muscled. I found myself looking directly into his neck or ribcage depending on where I was standing as he’d smell me and check me out to get to know me. Then there was the young gypsy stallion colt being boarded and trained for a local breeder. He was a dwarf compared to Lion the PRE and also had the cutest impish personality to go along. Carefree and fun with sparkling eyes underneath a crazy mane of hair. As usual most of my time was spent learning; whether it was questions from my notebook over coffee on the porch, asking to explain things as I observed, or while working with a horse hands on or riding. Because she was training the stallion for the public (not her own personal horse) the timing was right for me to be the first besides her to ride him. I did not anticipate getting to ride for her this trip but was grateful for the opportunity. He is a nice horse and though still green and a stallion I felt comfortable working with him. I also know my mentor well enough to be certain she would not put me in an unsafe position. I learned more about my own riding and balance and gained experience on how to work with a colt who is still green as well as how to handle a stallion properly. She was able to see how he would react to a different human who wasn’t as smooth and clear in communication as she is and learn if he had gaps in his education she would need to fill for him to be safe for an average rider. I also enjoyed getting to know them better and we enjoyed some quiet evenings around the fire. When my brain filled to the top it was time to head to the third leg of the trip to see my good friend Pam to the south in Naples. Pam is the friend who I first went to for help learning to ride better. I knew that my horse was not going to succeed in long distances the way I was bopping all around in the trot. Pam introduced me to Simple Equine Teaching and that was the key to understanding horses I had been seeking. The drive down gave me time to sift through the rough notes and organize the information over the days- some concepts came back often in repetition and some barely touched on. I transfer them into a leather journal for long term reference. It’s nice to see Pam and to have time to chat and catch up and rest. We enjoyed coffee on the outdoor porch overlooking the lake and then walked a couple hours on the beach followed by a light lunch. The weather has been fine and it’s felt good to be warm and get some sunshine on my skin. I look forward as always to home and my family: human and animal. 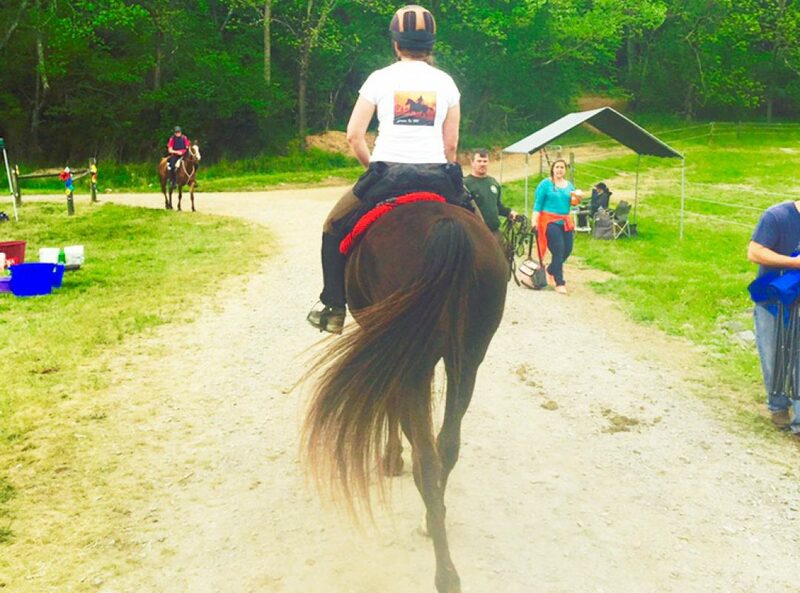 I also look forward to improved communication and connection with my horses and some new layers in their health, nutrition and conditioning program. Ja, you are getting to be quite the traveler, but don’t think you are ever going to surpass your Uncle Darin. I love your blogs and hearing all about your experiences. Hello to ED. True. I actually like staying home, but I knew this trip had a lot of purpose and I needed to go. Fun! Fun! Fun! AND self improvement…love it! Love to read the stories from fellow endurance riders all over the world.